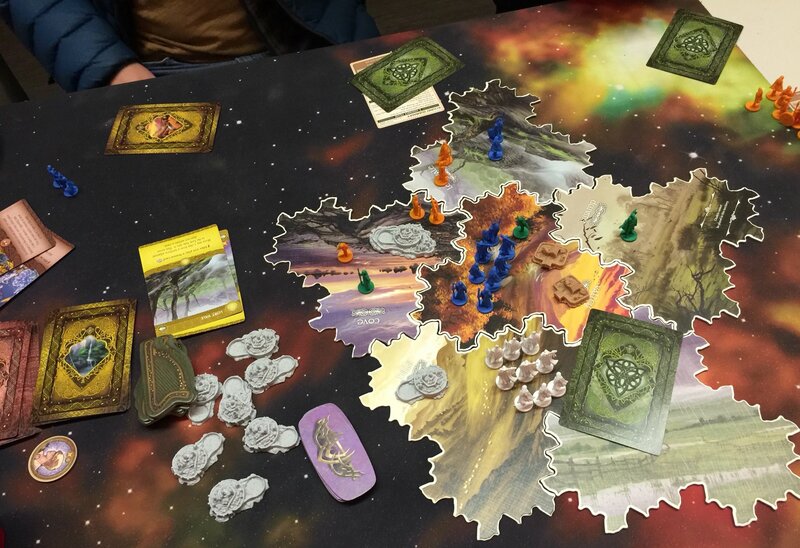 One beautiful game that I did get to play is Inis. In fact, I played it twice. Not only that, I actually won once! It’s surprisingly simple and quick to learn, and the game can turn in an instance, all without relying overmuch on random elements – no dice rolls, for example. And having a part of combat be the participants talking to each other to decide if they actually want to go to war is pretty good. Lots of fun, this game.